Clamping two workpieces simultaneously, increasing productivity, so that the original function of holding more rapid upgrade. 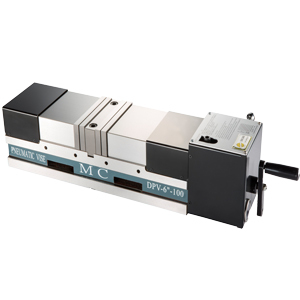 The vise principle is the use of reciprocating air compressor motor. The method of oil passage by pushing continuous pressure to achieve automation. Low-pressure compressed air source 8kg / cm2, the clamping force can be up to ultra-high 4000 kgf. Ø When copper and aluminum products are light processing or raw material of cast iron is heavy cutting. 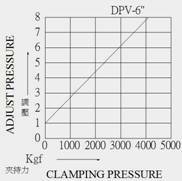 Set at the desired pressure with the regulator, will not result in low air pressure source and loss of pressure, and the regulator can fill and fix the pressure function automatically, to ensure the clamp of the workpiece. Just a manual switch control vise switch, the switching speed of just 1.5 seconds, holding a safe distance for 5mm. During operation to prevent injured. When the clamp can also be done with a special automated unmanned production system design (can be used with electrically controlled valve or via the controller machine's operation). 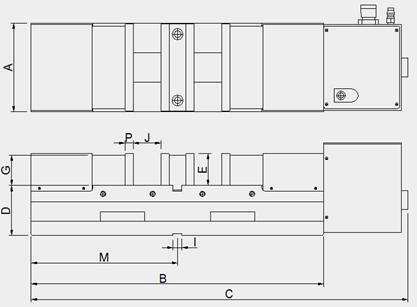 Vise body material is high ductility of spherical graphite cast iron (FCD600), vise both sides of the slide hardened heat (HRC45 °), ensure high precision and high wear resistance, high tensile strength. The semi-sphere shape can be generated under the power of the lock, the jaw plate doesn't lift and the workpiece doesn't tilt.